Demetria "Demi" Lovato has had quite a hard time over the last few years, going to rehab for cutting and an eating disorder, which she has struggled with since a very young age. Her 2011 album Unbroken and smash-hit single Skyscraper represented this, and people found that they could relate to the songs on a deeply emotional and personal level. 2 years later, she has tried to show how she has matured with her latest album DEMI, which has been done very well, with songs that I don't think she could have pulled off 2 years ago on Unbroken. The album starts with her current smash, Heart Attack. Upon hearing this song for the first time, it didn't really appeal to me, but I gave it another try and haven't been able to stop humming it or get it out of my head for weeks. It's got such a catchy beat and great, defining lyrics, showing just how far Demi has come. She does however, seem to do a yodeling impression after each chorus. However, this is my only criticism of the song. The second track on the album, Two Pieces, starts off with a military type snare drum, and leads into gentle piano and vocals. It's clear from the first line of lyrics that this song is about trying to find her love with someone again; to rekindle their flame, saying "we fit together like two pieces of a broken heart". This song is executed beautifully, with a loud and powerful chorus, really showing the ability of Demi's voice, hitting both high and low notes, as she hits them very well. The 3rd track on this record, Without The Love is a very upbeat, catchy song which shows how a past lover has hurt her and doesn't want anything to do with him. Her vocals are very grounded on this track, lacking in vocal adventure or showcasing her true talent. This is a good song, but I don't like this as much as some of the others. Nothing against Demi, it's just not one of my favourites. Track 4, Made in the USA, sounds a lot like a Nicole Scherzinger type of song, with a lot of repetition of lyrics at the end of verses. The message of this song is that she wants someone back, and doesn't want to settle for anything else. It's a very upbeat song, with a nice mix of guitars and computer magic. Nightingale (track 5), is more of a personal ballad, with nothing else but pianos, a very light drum and her voice. Lovato's true singing talent is illustrated here, with the song being stripped down to just her voice and the piano. It reminds of Skyscraper, with her raw emotions being exposed, which are shown by the pain in her voice and the lyrics being about how she wants someone to be there for her and sing her to sleep, as she feels as if she is alone. Another ballad follows this, by the name of In Case, which again shows her true feelings and showcases why she is in the music business, to inspire people and make sure that the fans (or "Lovatics" as they're called) can relate to and be inspired by Demi's music. There is a simple message to this song; she keeps their picture just in case they come back to love her again. This has the same message of the Script's "Man Who Can't Be Moved", but Lovato voices this message in a more subtle way, which is reflected in the lyrics of this song. Neon Lights is more of a dance, feel-good song, which is needed on an album like this, as Demi is trying to show that she can tackle different genres. This song is an accurate representation of the songs played in clubs this year, with a build up to the chorus, then the beat drops. Most of the lyrics are repeated over and over again, but this is the characteristic of a typical club song. Not saying that it's a bad song, it's not, but it sounds just like every other dance song out there, so it would be perfect on the club scene, but not really anywhere else. 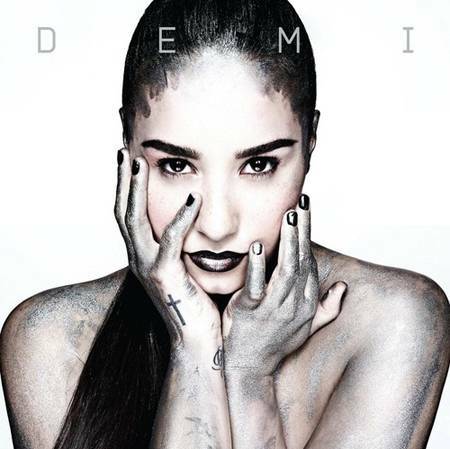 Really Don't Care is similar to this, with a really catchy beat and sort of meaningful lyrics about someone who has hurt her and shows that she really doesn't care, only this time, it's featuring Cher Lloyd, a British singer who found fame for being on the X Factor. She only has a small spot on this song, and thank goodness, because it's the worst part of the song. Fire Starter shows how strong and powerful she is, like Superman. This is a catchy song, with a strong powerful beat, which fans can sing at the top of their lungs and feel as if they can be anything they want, which I think is a good message to show for someone with a fan age range from 11-20, as it can empower anyone to have determination and show that beat anyone in getting what they want. Something That We're Not is my favourite song from the album because of it's catchy guitars at the beginning, summer anthem feel and really relatable lyrics about someone wanting to get back into a relationship and thinking that they're something, but in reality, they're nothing. Never Been Hurt at first sounds like a ballad, but the beat soon kicks in, which Demi's strong voice and has similar lyrics to the song Unbroken, also the title of her 2011 album. The yodeling I mentioned that happened in Heart Attack also happens at the end of the chorus in this song, but this time, to a dubstep backing track which I think doesn't give the song justice, but again portrays the dance tunes of this generation. Shouldn't Come Back is another of Demi's ballads, which again shows raw emotion, with just a guitar and her incredible voice, reflected by the pure amount of different notes being hit perfectly and very personal lyrics. This reminds me most about Skyscraper, as I got goosebumps while listening to it because of the power, but at the same time ache in her voice, making it one of my favourite ballads Demi has written. To end the album, Demi chose to add another ballad, Warrior, which shows how she has overcome her problems and has become stronger, probably from her own struggles. It may also show how the fans have helped in her fight and that they are part of her recovery, and because of them she "has thicker skin". This song, as well as the rest of the ballads, show how she can really sing and how her lyrical choices have been influenced by her story of battling all these different issues. Overall, this album is one to look out for, as it has powerful songs and rather upbeat ones too, which is a true showcase of Demi's maturity as a women and how she has evolved from Unbroken. DEMI is Lovato's best work yet. I love In Case And Shouldn't Come Back (: Although I still haven't listened to half of them!